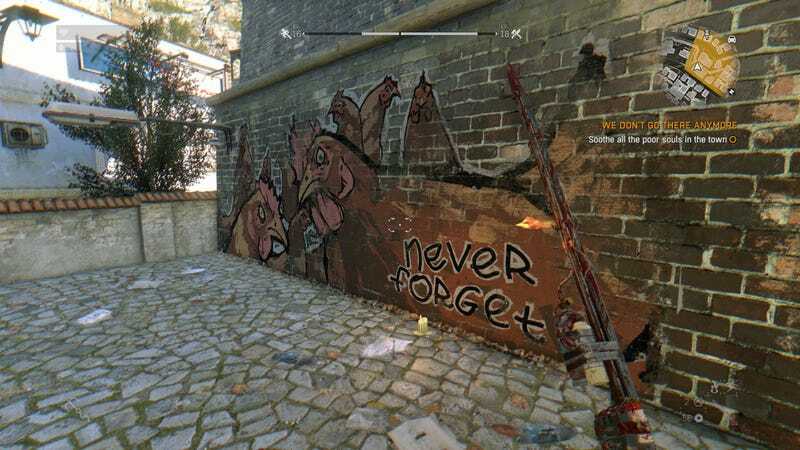 Glad to see Dying Light’s graffiti game is still on point in the new expansion. Glad to see Dying Light’s graffiti game is still on point in the new expansion. I liked this one in particular. Never forget, indeed.